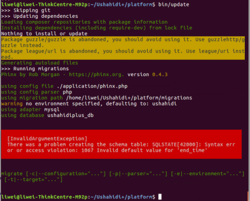 hello I met a problem when I trying to install on Linux(Ubuntu 16.04). 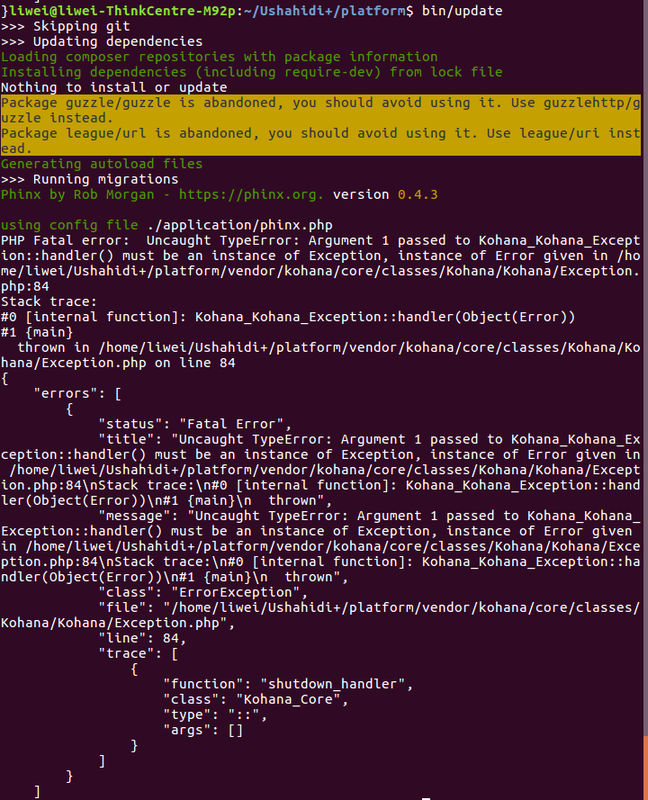 Here is the error message when I ran "bin/update". hope someone could help me to fix this. thanks a lot! 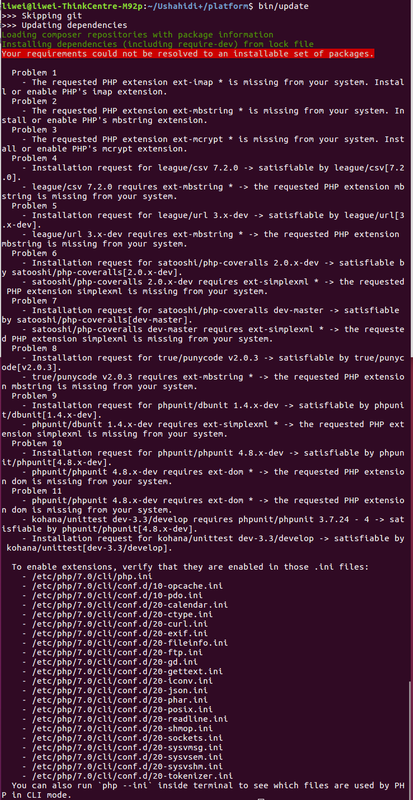 ok I install some packages of php and those are solved. then, here comes another error. @ushbot any news for me? hello David thanks for helping me all the time! 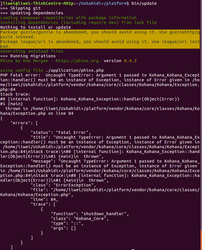 I have installed php again to be version 5.6. It works! did you write the .env file? well... 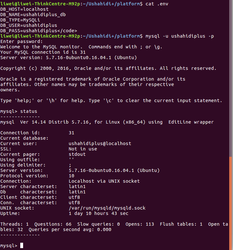 I think I have build a .env file right under the platform file. Do I put it in a wrong place? here is more information I could show you. my .env file on the top. 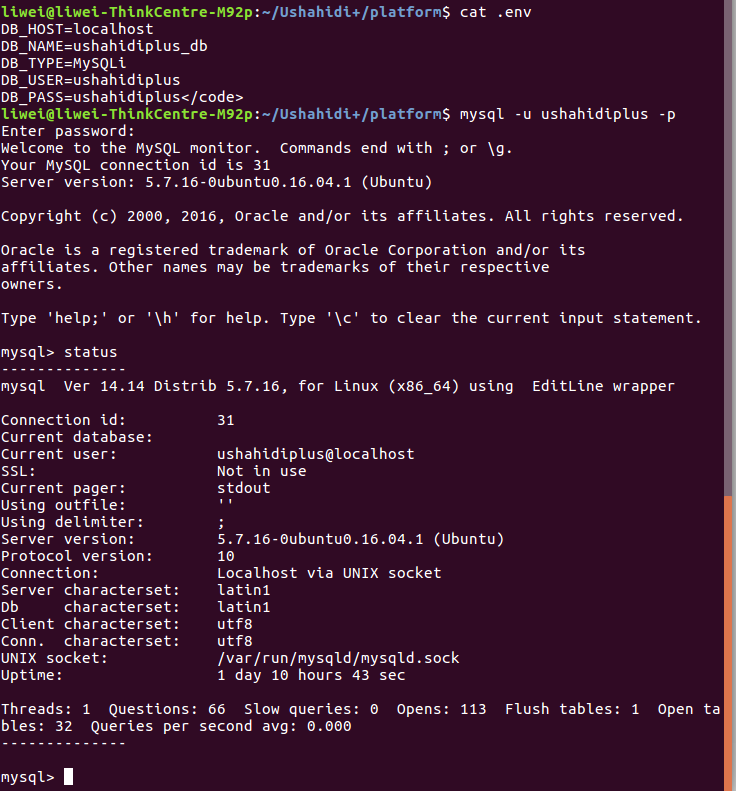 and I also access the database "ushahidiplus" I built. It looks like I have already built it successfully.